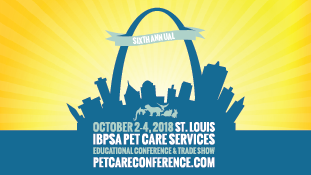 Mark will be at the International Boarding & Pet Services Association – IBPSA Conference and Trade Show, Tuesday, October 2, 2018 – Thursday, October 4, 2018, in St. Louis, Missouri at the Sheraton Westport Hotels St. Louis. Stop by our booth to say “hello”!! !